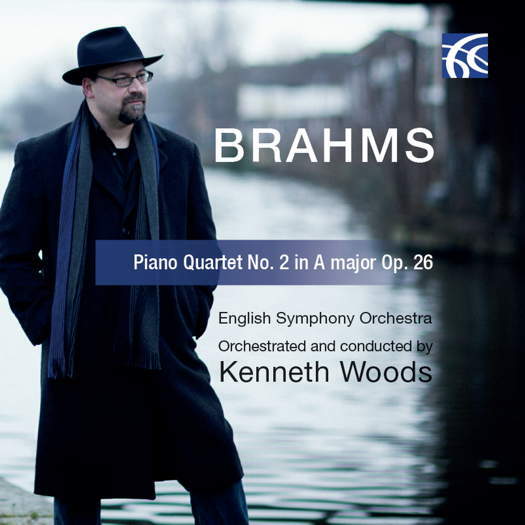 This is a very joyous disc: sonorous, exuberant and expansive, and wonderfully evocative of the then-youthful Brahms. Kenneth Woods loves his horns - whether they love him must remain rather more doubtful: he sends his really excellent first horn - James Topp - sky-high particularly, as he admits in his notes on his orchestration, because he was smitten with the daring notion of an opening horn chorale. One can see why. The horn chorale works in performance as well as in concept, with other felicitous touches including the use of pizzicato in the graceful, serenade-like sections and rich punctuation in the main theme from the heavy brass. Because, make no mistake: this astutely conceived version is for full orchestra, and the full English Symphony Orchestra here sounds keen, gutsy and powerful. The long and ambitious first movement has a lovely sense of forward pacing, with an organic sense of flow in the lyrical sections. The rather weakly composed section before the recap is adroitly hustled through and there is some lovely intimate playing from solo winds and strings in alternation, though the brass can occasionally sound perhaps a little strong. In the Poco adagio a limpid clarinet features first, over rolling strings. The second theme starts in middle and lower strings, amid dark threats from the lower brass. The clarinet returns, intertwined with solo horn. The ensuing storm puts the tricky pianistic figuration squarely on the broad backs of the middle strings, while the return of the opening features the leader united with the principal horn, just as Brahms elected to do in his First Symphony. (It works every bit as beautifully here.) Later - you guessed it - the principal horn rises fluidly over the texture in virtuoso descant - something Brahms would probably have gifted the first oboe, but the ESO's first horn shimmers gloriously. The movement's end is perfectly judged by Woods and solo flute. The ESO clearly relished the whole of the third movement, from the easy-flowing theme with solo clarinet, the delicate woodwind filigree and the interweaving winds and strings sharing the original strings and piano textures. There is more of a wind serenade feel here, as the texture is so feathery. However, the Trio is played with dramatic fire, with real thrust in brass and timpani. More seriously however, this is an excellent performance representing a useful, joyful and even inspired addition to the orchestral repertoire.